Those of you who know me know I’m neurotic. I’m always second-guessing, worrying about things I have no control over and just, well, being me. This lovely characteristic of mine makes me hard to live with at times. When I found out that I was having a child in my late 30’s I worried how it would affect my daughter. Then in my early 40’s when I became pregnant with my son, I was in worry overload. After 17 years of parenting, I’m here to attest to any other parents that are like me out there….YOU WON’T HURT YOUR KIDS PSYCHES! My last week has been a string of daily affirmations that I must be doing something right I’ll discuss all my wrongs in another post as a parent. If bragging parents get on your last nerve, you may want to quit reading here. Indulge me, and let me bask for one more moment in the “I haven’t screwed my kids up yet” glory! On Tuesday, my son was awarded for making the A honor roll all year. ALL YEAR! On Wednesday, my daughter was chosen to be the High School Television’s anchor AGAIN for her Senior year. On Thursday, my son was again awarded with…wait for it….the Outstanding 7th Grader for his entire SCHOOL! he also won 2 teacher’s awards for Teen Leadership and PRE-AP Math. On Friday, my son’s baseball team beat the team that has beat them all year long to win the City Championship. On Saturday, my daughter took the SAT and didn’t freak out! On Sunday, my son’s team won the Regional Championship and he batted in the winning run. Yes, I can honestly say, for one shining week I have felt like a successful parent. My kids aren’t hooked on drugs; my daughter isn’t a teenage pregnancy statistic; they aren’t wildly popular in school, they’re just normal; and the teachers love them both! Even though their friends have labeled me a “hippie”. Life is good! I am a Momma’s Boy, I pity the fool who ain’t one! There are far too many clichés to explain the weird hold Mothers sometimes have on their children…especially their sons. Mama’s Boy is the first to come to mind. For many years, my naivete forced me to believe that these Moms were the kinds of Moms everyone wanted: understanding, loving, chocolate chip cookies on the table after school awesome Mothers. But in my relationships with men and studying their relationships with their Moms, that isn’t the case at all. Men who have unhealthy relationships with their Mothers are often damaged, sometimes beyond repair. Of course, there can be several mitigating reasons for this. Maybe the father is not around or his family puts the Mom down. The Mom then becomes emotionally attached to her son as a “stand in” for the ghost father, sharing with him the things she should be sharing with a spouse. Or maybe the boy is shy or unattractive to other girls. His lack of esteem makes him feel badly whereas his Mother’s unconditional love makes him feel great. Of course, all Moms strive to make their children feel healthy and good about themselves, but sometimes Moms forget to let go. All Mother’s want their children to love them, but part of loving someone is being able to let them go; to let them be independent and learn from their own mistakes. Letting go is one of the hardest jobs a Mom has. They complain about their Mom’s choice in men (if divorced from the mama’s boy’s dad) like they would a love they’ve never gotten over. They want to protect her but you don’t feel they want to protect you. They feel smothered, but they choose to not move away. They ask their Mom for advice before they ask their girlfriend or wife. They take their frustrations with their Mother out on their wives. The affection they show their Mother hasn’t been shown to you since the 3rd date. They call their Moms more than once a day. They call you twice a week. They make sure their Moms get Valentine, Birthday, Christmas and Mother’s Day gifts from the heart. They don’t trust you to buy them. Raising a Mama’s Boy should never be a goal for any Mother. As a mother raising a son who will be someone’s life mate and maybe even someone’s father, it’s important to try to instill a sense of security within them so they don’t become so attached to us. The husband plays a big role in this as the son can learn from the father how to treat women. If your husband treats you with respect and loves you sincerely, your job in raising a son will be much easier. This kind of Mama’s Boy will not be the derogatory type, but the kind of man who cares for his Mom AND his wife. He and his wife will be thankful for you and not resentful of your presence in their lives. I know some men and women too who would call that “unfounded optimism” as they believe these types of mindsets no longer exist. They blame everything on society, the loss of God in their lives, politics and global warming for causing the decimation of the family. That’s not true. Like everything that is important, one on one is how to correct problems and to not buy in to the “victim” mentality that has pervaded our psyches the last few decades. 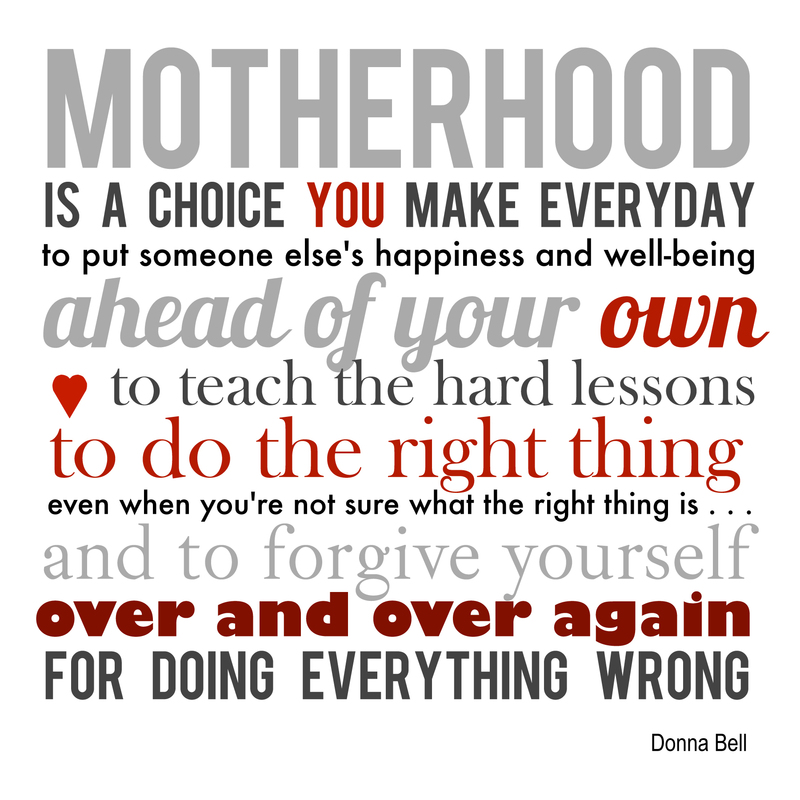 The point is this Moms: You chose to be a Mom. It was your choice! So try and do the right thing for your son and for your daughters. Teach them. Respect them. Appreciate them. This is how you make the world a better place, and raise the right kind of Mama’s Boy.